Well those girls couldn't surely be having all that dress up fun to themselves! So we have to have our boys looking mighty dapper too. Check out the new Retro boy dress up set. You can now dress you boys (or girls!) 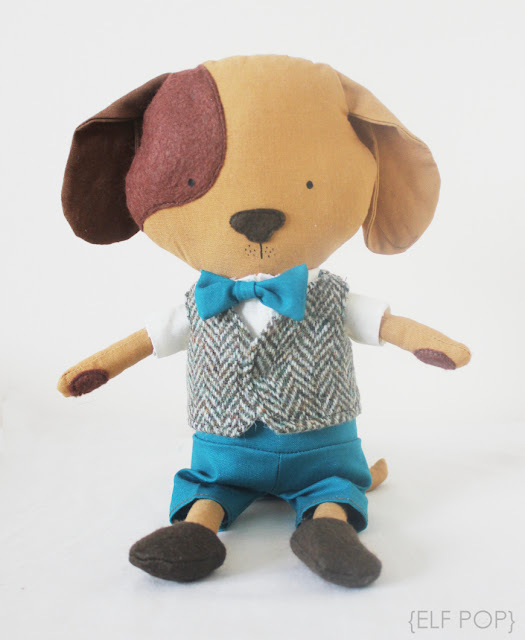 up with their very own shirt, bow-tie, shorts, waistcoat and shoes.Well Easter is fast approaching after all and we want our little men to look smart and they certainly will in this little outfit. This pattern is a little fiddly compared to the doll pattern but honestly it's no harder than advanced beginner or intermediate level. 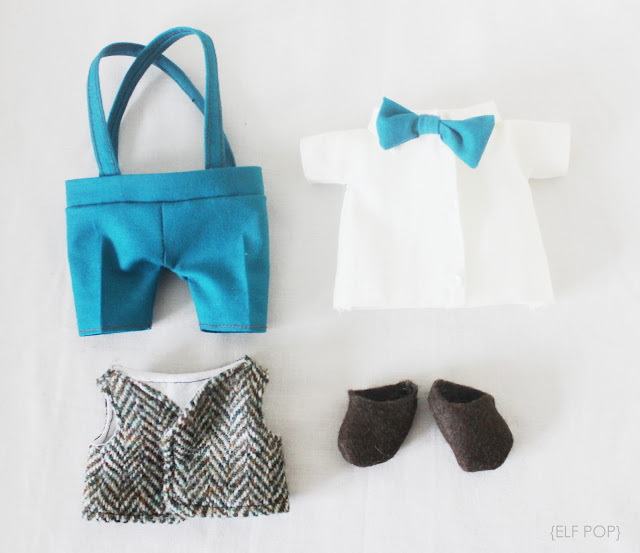 Honestly doll clothes are so worth making, you'll be surprised how much your kids love them. 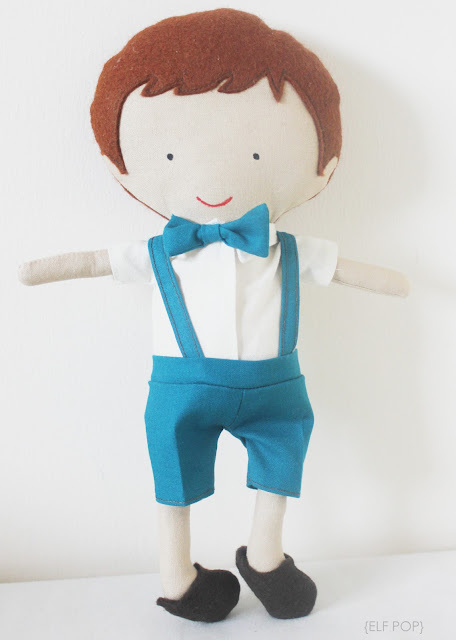 How cute would these little guys be for your dolls looking their Easter best? In other no pattern news I did fun 'behind the scenes' interview with Kid Independent this month which you can check out here. 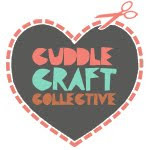 I love the site it's full of handmade, independent shops with dry goods for kids. The site always has loads of great give-aways and eye candy a plenty, so lots of shopping inspiration for parents, Grandparents, Aunts, friends etc. I'm taking a break from doll clothes right now and going back to some animal making but I promise I'll have more clothing designs in the future. As always I'll keep you all updated on any new pattern releases or updates.